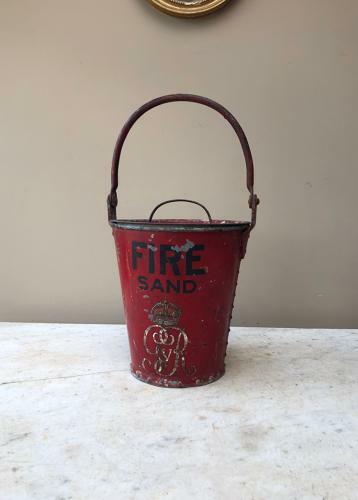 Early 20th Century Fire Sand Bucket dating between 1910 and 1936. Great Original Paint and King GeorgeV Crown. It has its original and often missing lid. Post is Parcel Force 48 for £12.98.